what is this? officially sanctioned fanart? 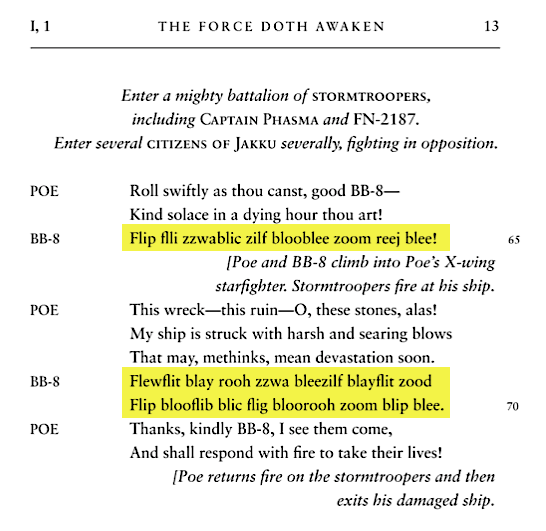 Yes, supposedly it's officially sanctioned Star Wars Does Shakespeare. 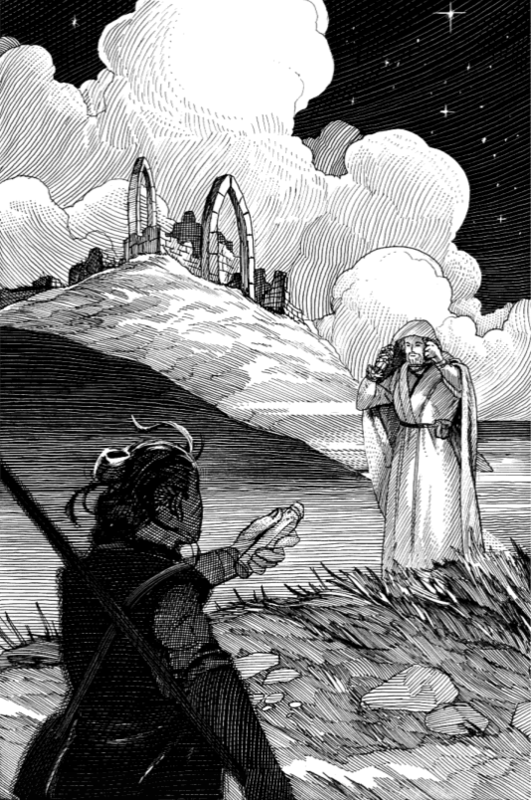 William Shakespeare’s The Force Doth Awaken was great fun to write because I was able to revisit favorite characters from the original trilogy and introduce new characters to the Shakespeare’s Star Wars series. Of course, a new cast cast of characters means new opportunities to play with language. 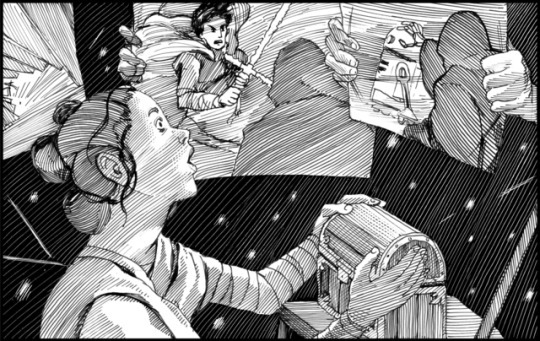 I won’t give everything away, but here are some hints to what I did: Rey’s longer soliloquies reference the many fan theories of her heritage; every line Finn speaks includes letters of his stormtrooper name; each of Poe’s lines includes a phrase from the verses of a famous Poe-t; and all of BB-8′s lines can be deciphered if you know the (skip) code. Among the new characters are new villains. A while back, Erik Didriksen (author of Pop Sonnets) and I tossed around the idea of a collection of “Villain Villanelles,” that is, a group of poems written about or from the perspective of various well-known villains from literature and film, each conforming to the structure and rhyme scheme of a villanelle. 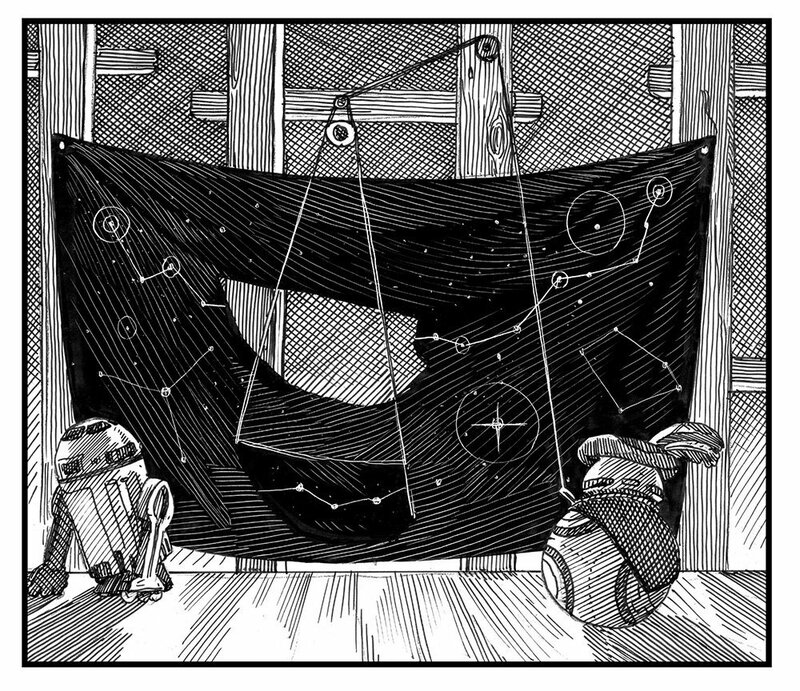 We didn’t get very far with the project, but I resurrected the idea in William Shakespeare’s The Force Doth Awaken. Each of the three main villains in this book—Kylo Ren, General Hux, and Supreme Leader Snoke—speaks one villanelle during the story. I'm confused, is this official? LF approved? So when Kylo says, "don't be afraid, I feel it too" he's referring to their strange connection? It is official, copyright of Lucasfilm Ltd! 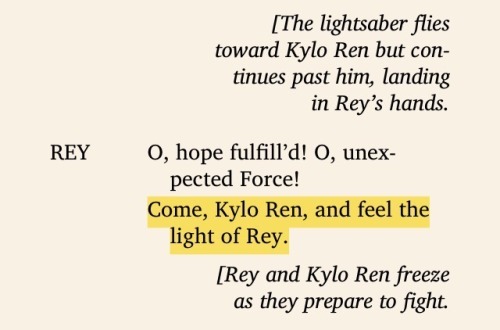 Damn, the "come, Kylo Ren, and feel the light of Rey" line is chock full of innuendo. "When young, his smile could ligten a darken'd room"
I'm convinced that those who wrote about "feeling the light of Rey" and "feeling the strange connection" didn't have cousins in mind. This stuff is legit shippy. Oh this is absolutely brilliant!!!! Half of the quotes that have come out make me LOL, the rest make me want to cry. What an emotional roller coaster I think I've got to have this book. Kylo Ren is a fascinating character, because he is so conflicted. Unlike Darth Vader in A New Hope or Emperor Palpatine, he’s not just entirely evil. He’s trying to be a bad guy, but can’t quite get all the way there. So you have to maintain that tension with him. It’s similar to the tension Anakin feels in Revenge of the Sith or Vader in Return of the Jedi. 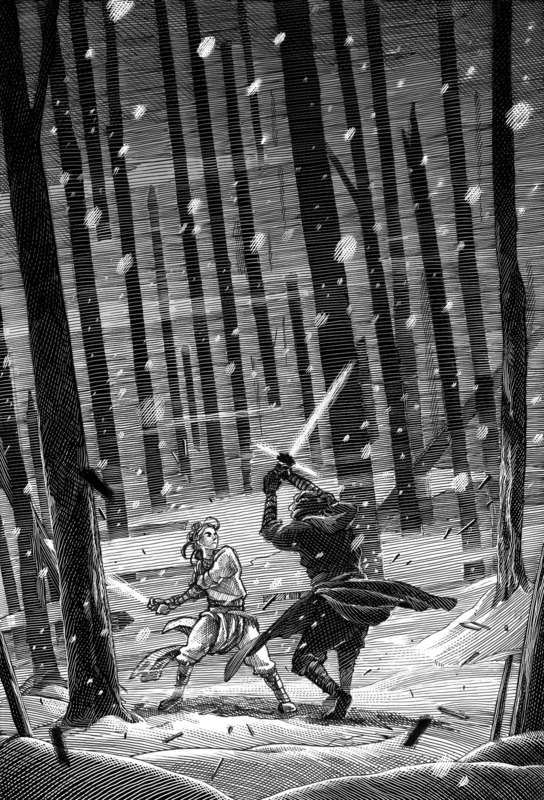 I’m interested to see where The Last Jedi takes Kylo Ren, and what that will mean for his future soliloquies! The author really loves Kylo. That funny feeling when you turn on your computer in the morning and instead of R2 and BB8 you see Rosencrantz and Guildenstern. For those of you reading it, does Mitaka make appearance to interrupt one of Space Hamlet's soliloquies? He's seems very much like he'd be a minor Shakespearean character. the interrogation. apparently there will be an audio book of this as well! —Thou art welcome as my guest. Where are the others, all my comrades true? What hast thou done with them? Are they herein? The murtherers and traitors thou call’st friends? Their gross dishonor doth negate thy honor. I have no knowledge of their whereabouts. And scan its contents like so many words. Thy thoughts are clear: thou’d happ’ly see me dead. By one who hides beneath a coward’s mask. [Kylo Ren removes his mask. A text too heavy for thine intellect. Tell me all thou dost know about the droid. Would that thy script were sharp as thy foul tongue. Yet we require the piece that doth remain. Of lowly birth and even lower class. That I’d become the author of thy fate. And thy weak mind, pathetic as it is. 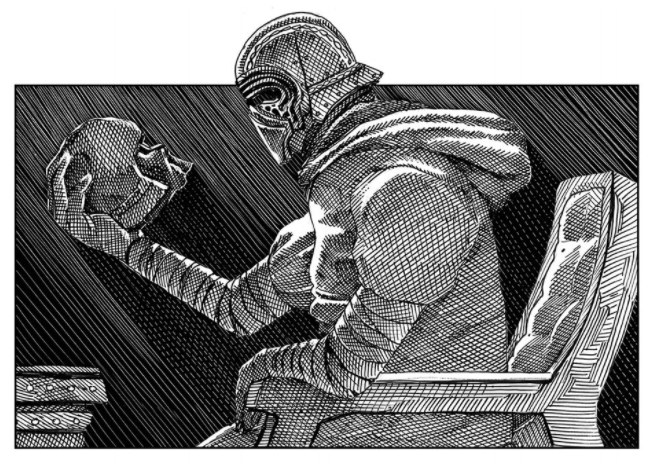 [Kylo Ren uses the Force to extract thoughts from Rey’s mind. Thou art alone, of leaving most afeard. At night, thou art so desperate to sleep. Plac’d in the ocean’s vast expanse—I see’t. Han Solo: he is in thy mind as well. The man, I’ll warrant, would but disappoint. Thy chronicle is tragic in the height. Avaunt, thou knave! 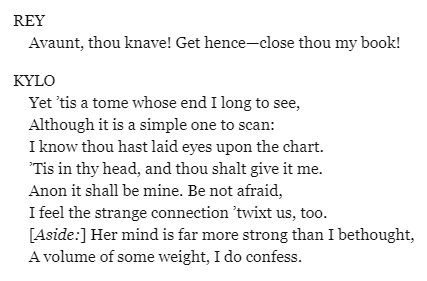 Get hence—close thou my book! I know thou hast laid eyes upon the chart. Tis in thy head, and thou shalt give it me. I feel the strange connection ’twixt us, too. A volume of some weight, I do confess. Naught shall I show thee. Perchance I may his ruse turn back on him. Mayhap I may assail his library. As he thou dost admire: the Sith, Darth Vader. Ha! Ope again, for I would fain read more! [Exit Rey as Kylo Ren makes his way to the assembly room. Nay, nay, it cannot be. It must not be! Refocus my direction of the Force? Have I grown feeble, soft, or witless? 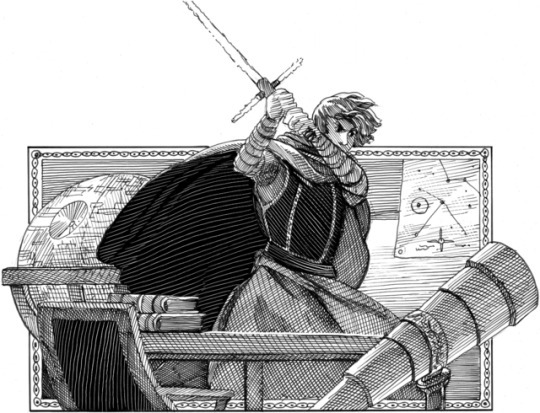 Nay! She turn’d the trick on me with seeming ease. Strong in the Force, though she may know it not. An errant step along my path of dark. 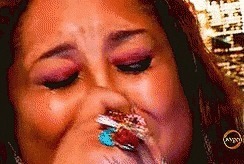 Confessing my mistake and her resolve.